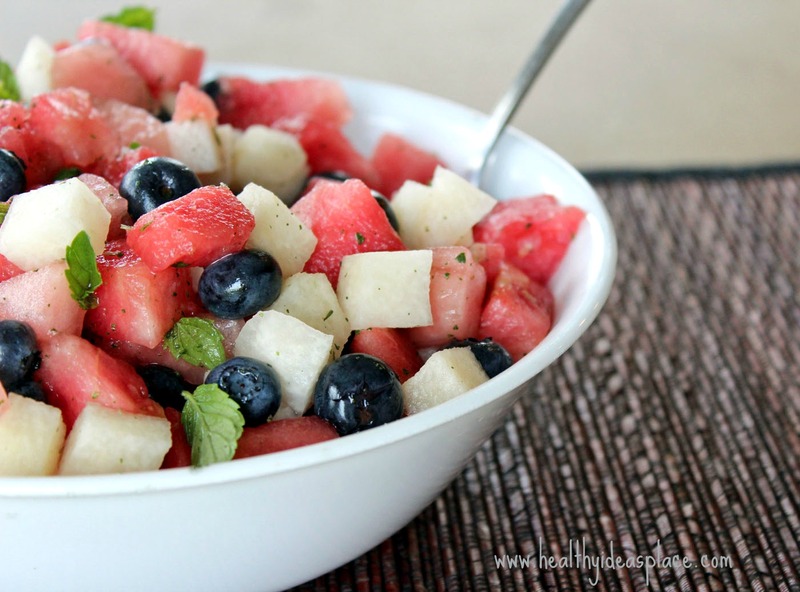 Chop the watermelon and melon on small pieces. Place it in a bowl and add the blueberries lemon juice and honey. Mix it well.